reakthrough Initiatives, an organization invested in advancing the search for life beyond Earth, is hosting its second annual Breakthrough Discuss conference. Breakthrough Initiatives, an organization invested in advancing the search for life beyond Earth, is hosting its second annual Breakthrough Discuss conference, which you can watch live online on Facebook. The event will take place April 20 and 21, and will feature presentations and panel discussions that focus on two recent discoveries of potentially habitable planets orbiting stars relatively close to Earth's solar system, according to a statement from the organization. The entire conference will be webcast to the public via Facebook Live. The complete a list of speakers and the conference schedule can be found on the Breakthrough Initiatives website. The program begins at 9 a.m. PDT (12 p.m. EDT/1600GMT) each day, and runs until 5:50 p.m. PDT on April 20 and until 4:30 p.m. PDT on April 21. "The two days of discussions will focus on newly discovered Earth-like 'exoplanets' in the Alpha Centauri and TRAPPIST-1 planetary systems, and new evidence that these planets could be habitable, as well as their potential as targets for novel methods of space exploration," a company representative wrote in the statement. "In the last 10 months, the world of astronomy has been rocked by discoveries of other planetary systems that look remarkably like our own," S. Pete Worden, executive director of Breakthrough Initiatives, said in the statement. 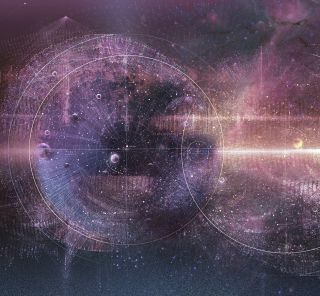 "The Breakthrough Discuss conference brings together many of the leading minds to advance the conversation on the potential for life on other worlds and to interrogate the conflicting theories and hypotheses prompted by this new data." Participants in the program will also discuss how these recent discoveries might tie in to the programs sponsored by Breakthrough Initiatives, including Breakthrough Listen, a program to search for signals from intelligent alien life; and Breakthrough Starshot, an effort to build an instrument to send very small probes to other stars. Breakthrough Initiatives was founded by billionaire entrepreneur Yuri Milner and his wife Julia. Board members for the Breakthrough Starshot initiative include famed astrophysicist Stephen Hawking, and Mark Zuckerberg, founder of Facebook.